» Just How Important is Forgiving an Unfaithful Spouse? New research on how couples reconcile after infidelity has examined several factors, such as the passage of time, relationship satisfaction, and commitment. The study shows that none of these factors is anywhere near as crucial for reconciling after infidelity than forgiving an unfaithful spouse. Forgiveness is the key to reconciling after infidelity, research finds. The researchers interviewed nearly 600 couples (almost all of these study subjects were married) who had all experienced infidelity within the previous 6 months. 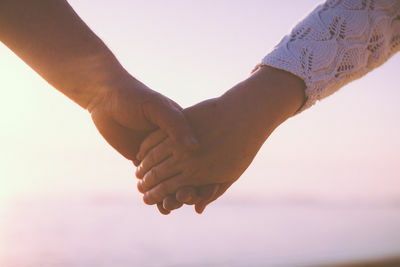 The research says that when the hurt partner can forgive, it is possible to begin reconciling after infidelity and become even stronger as a couple because forgiveness has been bestowed. Forgiveness is a spouse’s moral response to their partner’s relational injustice. There can be forgiveness without reconciliation… but there can be no reconciliation without forgiveness. But how does forgiveness work? Finding meaning in the trauma of infidelity, and the struggle to reconcile creates an opportunity for growth. Growth which occurs through trauma is called post-traumatic growth (PTG). The researchers used questionnaires which examined how much trauma each study subject had experienced, how the affair had been discovered, and how far along they were toward reconciling after infidelity. Forgiving an unfaithful spouse involves a co-created understanding of what happened, what it means, and the implications for a still-shared future. The research revealed that forgiveness played the most significant role in getting over the pain of infidelity. Forgiving an unfaithful spouse is difficult. But the researchers found a particular trait that hurt partners who are reconciling after infidelity has in common. The most significant characteristic of those who were better able to achieve forgiveness was a high degree of differentiation. In other words, hurt partners who are better able to take care of themselves first, tend to recover faster after the trauma of an unfaithful spouse. Another critical way forgiveness is achieved is when empathy enters the healing process. Empathy is the ability to not only understand the feelings of your partner but to feel them as well. It’s believed that mirror neurons are the physiological basis for empathy. Neuroscientists have called this phenomenon at the extreme as mirror-touch synaesthesia, where mirror neurons are activated when one animal sees another animal engage in a particular behavior. During moments of deep empathy between a couple, mirror neuron activity can be particularly acute. Is Forgiving an Unfaithful Spouse Also Related to Intuition? Every hurt partner who has a straying but staying partner is challenged by the same question… am I a fool for forgiving and reconciling? And surprising new research tells us of the power of intuition. I have been consistently impressed by the many narratives I have heard from hurt partners who have uncovered their spouses’ infidelity with nothing more than a hunch. I strongly suspect that other couples therapist have also had similar experiences with their clients as well. I believe that the notions of empathy and intuition are somehow two sides of the same coin. Intuition is looking inside oneself to discover knowledge or understanding which is grounded in felt experience and subconscious awareness. On the other hand, empathy is the ability to access and resonate with an emotional state outside of ourselves. New research tells us that intuition is a profoundly useful way to know if a partner has been unfaithful. Researchers learned that we are pretty good at telling if our spouse has cheated just from observing a small amount of their behavior in an otherwise neutral situation. In this study, even a complete stranger was able to spot a relationship cheat just by watching an unknown couple interacting for a few minutes. Both the couple’s degree of trustworthiness and relational commitment ‘leaked out’ from their behavior. The study subjects were able to automatically pick up on the signs of infidelity without quite understanding how they knew. For the study, committed couples were given a quick-drawing game to play that was recorded. The couples also answered questions about their marital fidelity. Complete strangers watched the three-to-five-minute video and were asked to guess whether or not one partner had been unfaithful to the other. The results showed that strangers did surprisingly well, considering the meager amount of information they had to go on. The researchers determined that people can make remarkably accurate judgments about others in a variety of situations after just a brief exposure to their behavior. “Thin-slicing” is defined as observing a small part an interaction, usually less than 5 minutes, and being able to draw accurate conclusions about the emotions and attitudes of the people observed. Judgments based on “thin-slicing” can be just as accurate, or even more accurate, than judgments based on much more information. Researchers have been debating the phenomena of “thin slicing” for over twenty-five years. We know that it’s a fact that accurate information on human beings can be mysteriously gleaned from very little data. We don’t fully understand how, but the fact remains that in many realms of human interaction, we can make pretty accurate “snap” judgments about other people. We don’t yet understand how human intuition works…but we do know that it exists. There is no reason to assume that our life partners are exempt from this poorly understood human phenomena. Perhaps some hurt partners decide to forgive because they believe, by virtue of “thin slicing,” that they safely can. The study was published in the journal Personal Relationships (Lambert et al., 2014).